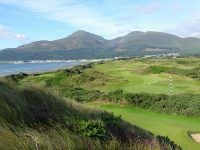 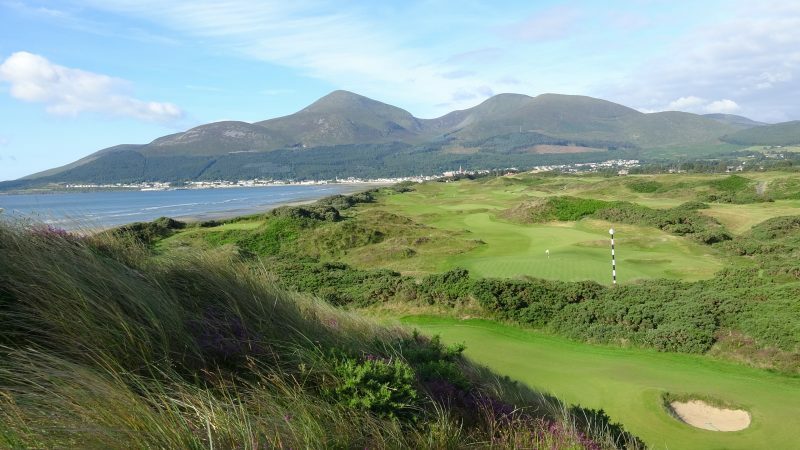 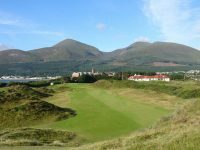 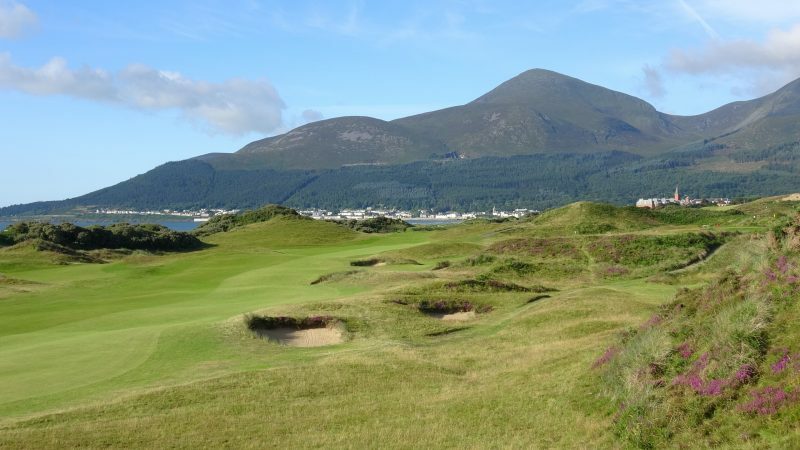 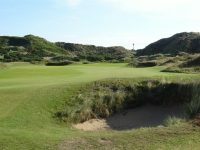 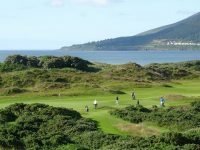 Royal County Down in Newcastle, Northern Ireland occupies a setting of rare beauty that is perfectly captured by a familiar refrain—“Where the Mountains of Mourne Slide into the Sea.” Royal County Down Golf Club is located practically at the base of the range’s highest peak, Slieve Donard. 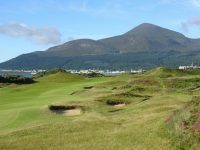 The setting combined with one of the most challenging layouts imaginable make Royal County Down Golf Club in Northern Ireland one of a handful of the most elite courses in all the world. 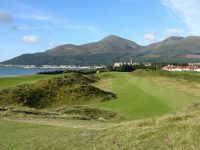 Just ask Northern Ireland’s Rory McIlroy, who failed to break 80 in the first round of the 2015 Irish Open at Royal County Down. 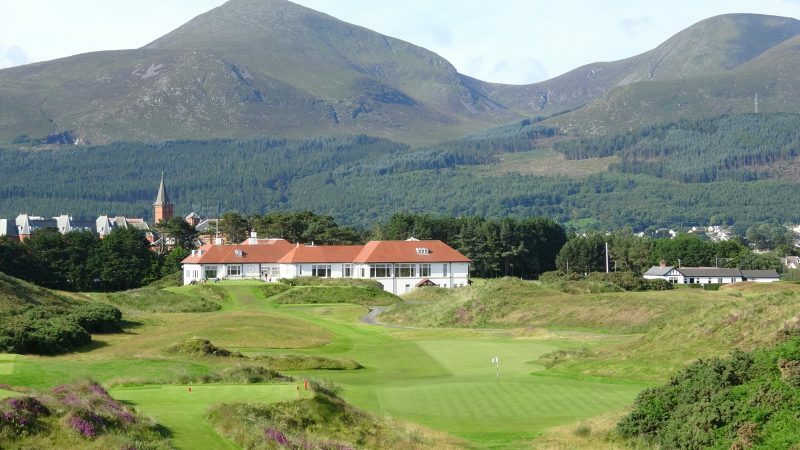 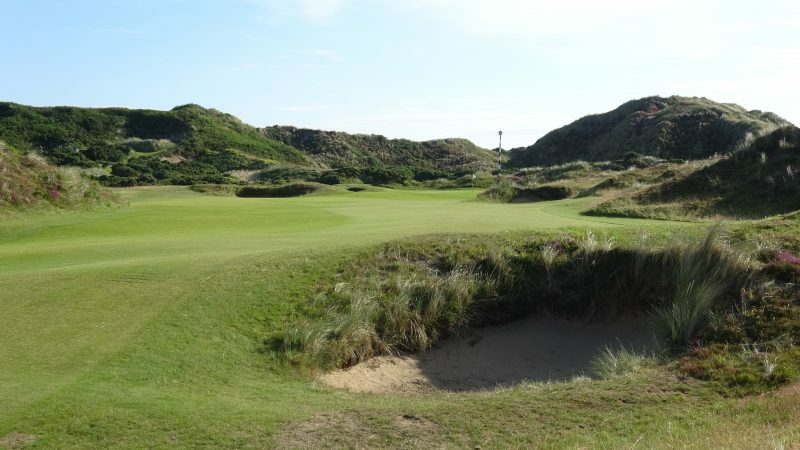 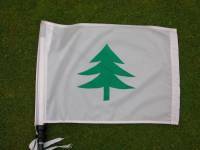 A former Walker Cup and Senior British Open venue as well, in our opinion Royal County Down Golf Club is rivaled only the great Pine Valley in New Jersey in terms of pure, intimidating golf. 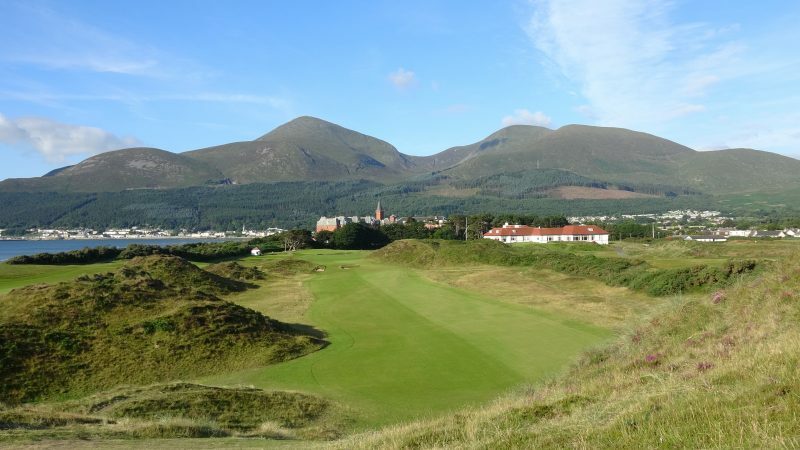 Each shot at Royal County Down Golf Club simply makes you say “wow!,” or perhaps more accurately, “oh my gosh!” The huge Royal County Down dunes, the deep bunkers, and the omnipresent gorse (even now that it’s been trimmed back), combined with the sublime setting, will both inspire and intimidate the many golf groups that tour Northern Ireland’s courses each year. 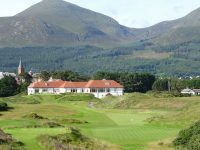 Throw in some blind shots, most hit with fear and loathing over what lies ahead over the dunes, and the result is that Royal County Down Golf Club is one of the game’s toughest tests, simply awe-inspiring. 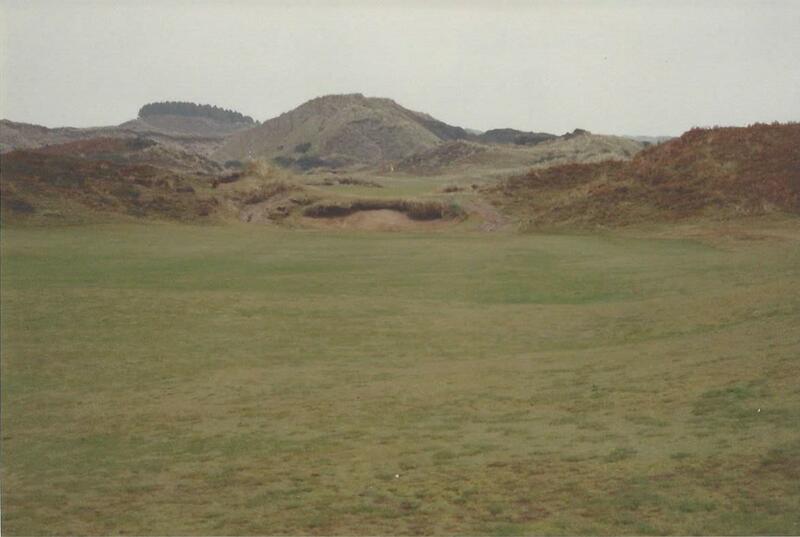 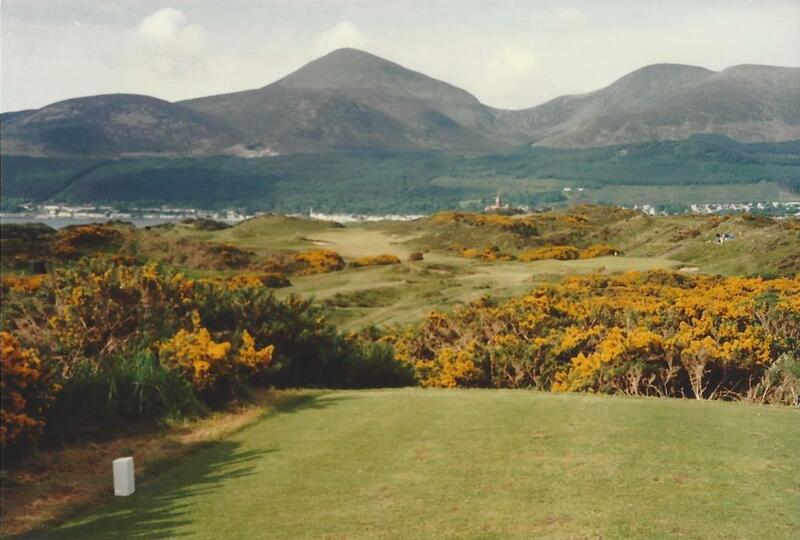 The 9th sums up Royal County Down, the blind tee shot hit directly towards Slieve Donard, the ball disappearing over the dune, gorse waiting both right and left of the fairway. 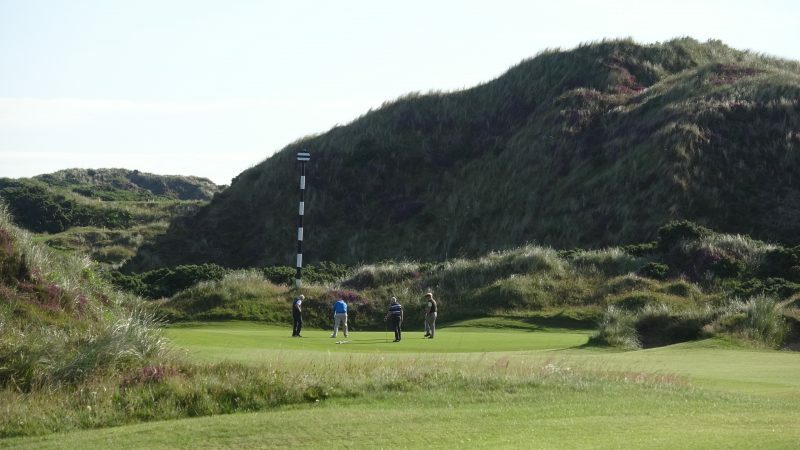 The walk from the tee is a worrisome one. 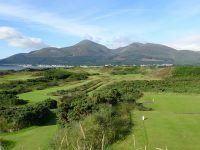 Were we successful? 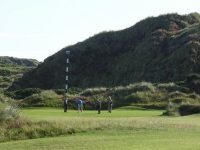 Should we hit a provisional ball? 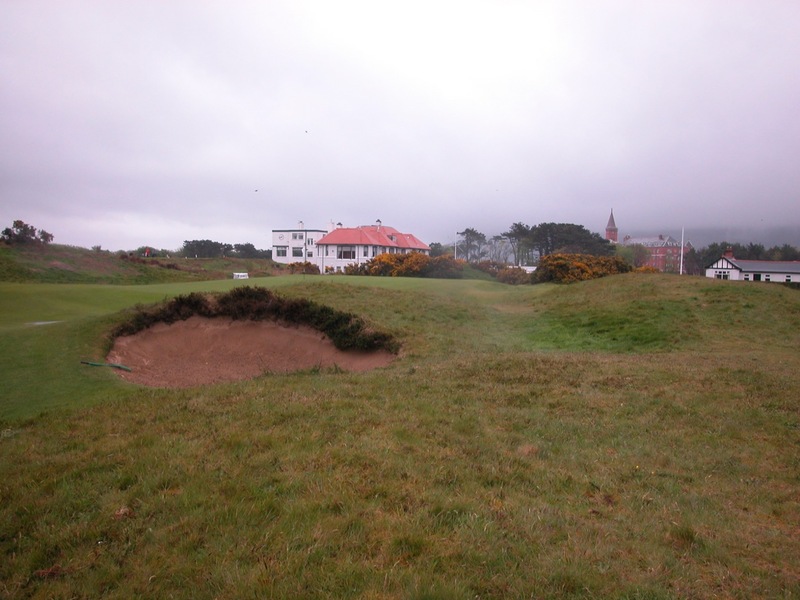 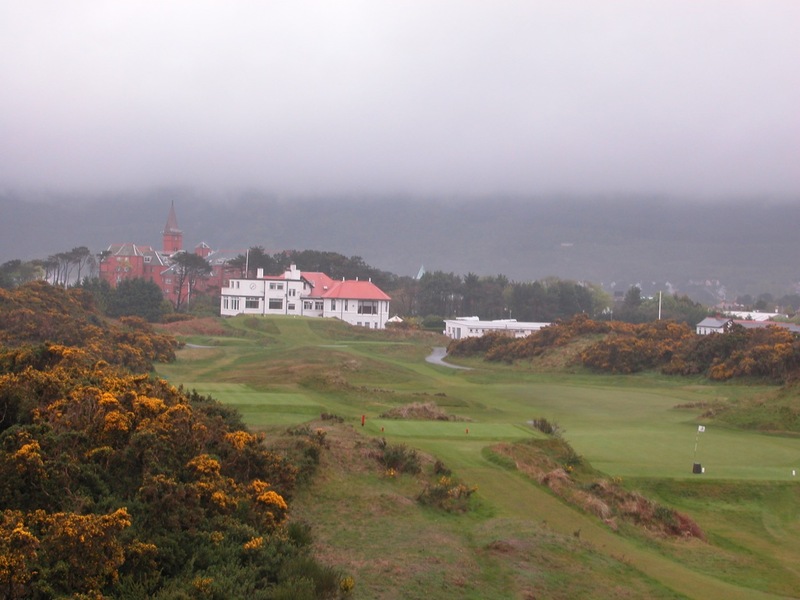 Did the Royal County Down gorse swallow up yet another one? 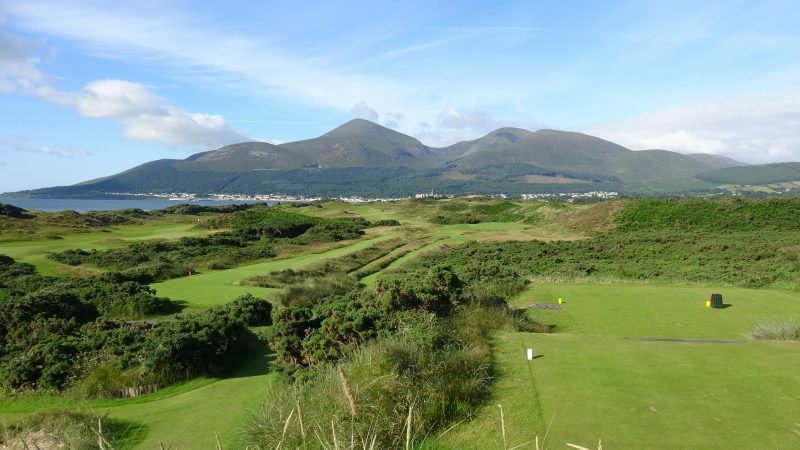 Oh, the anxiousness we feel as we strain our neck approaching the crest of the hill, desperate to find our white beauty somewhere in the fairway! 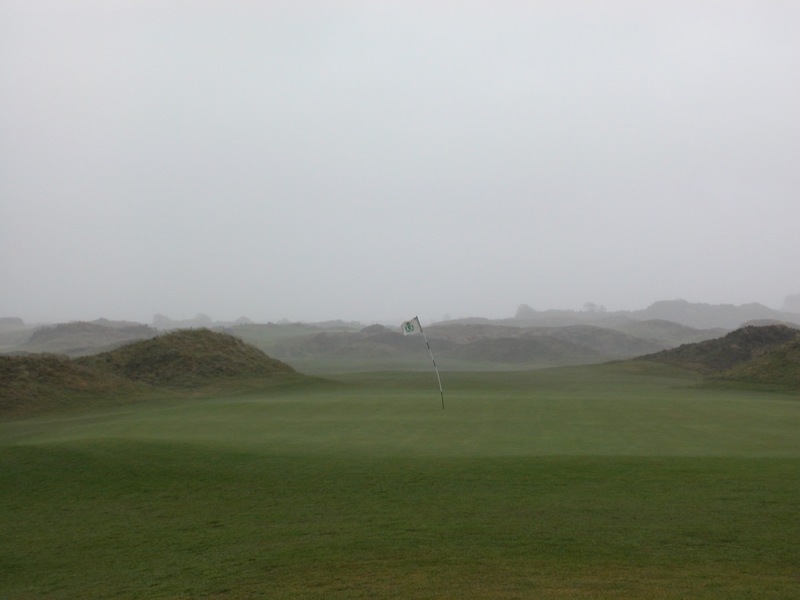 Even if you do find the ball, you’re still 200 yards or more away. 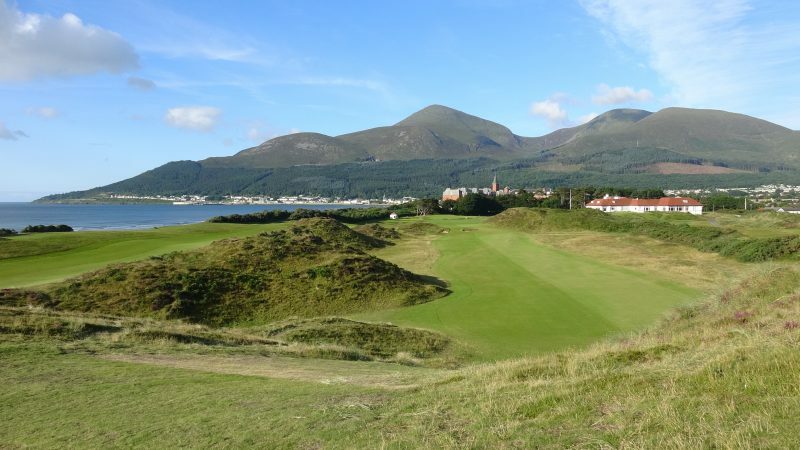 One rarely gets the chance to play such incredible golf, so at Royal County Down Golf Club we recommend staying a while, playing at least twice if at all possible! 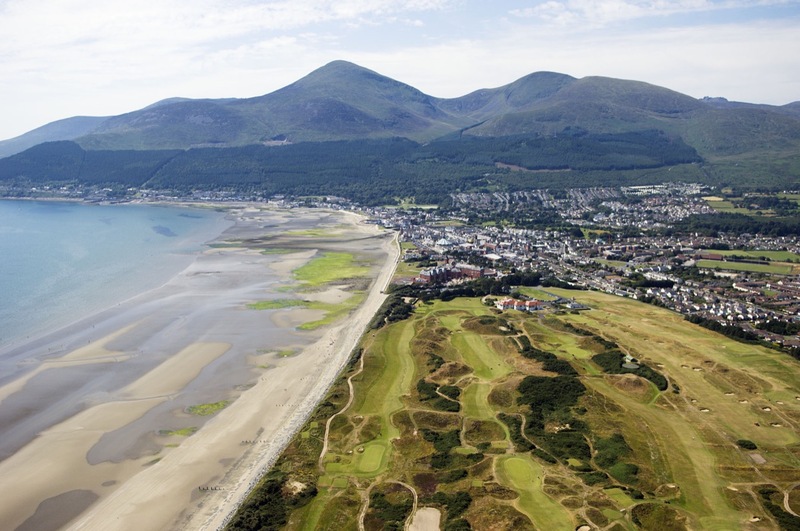 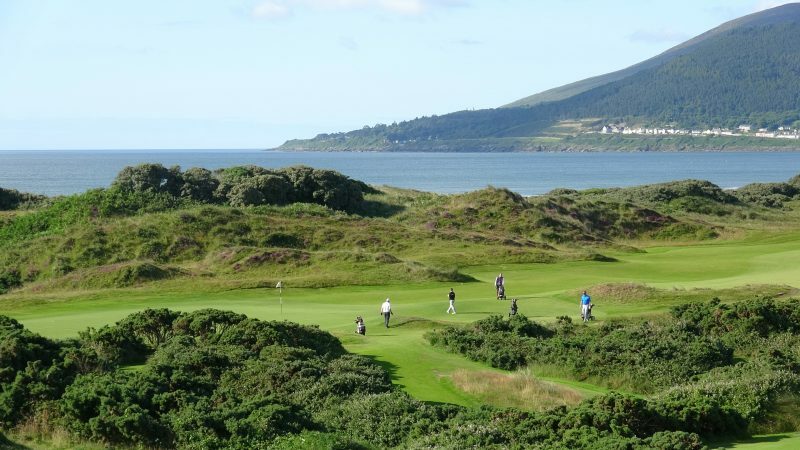 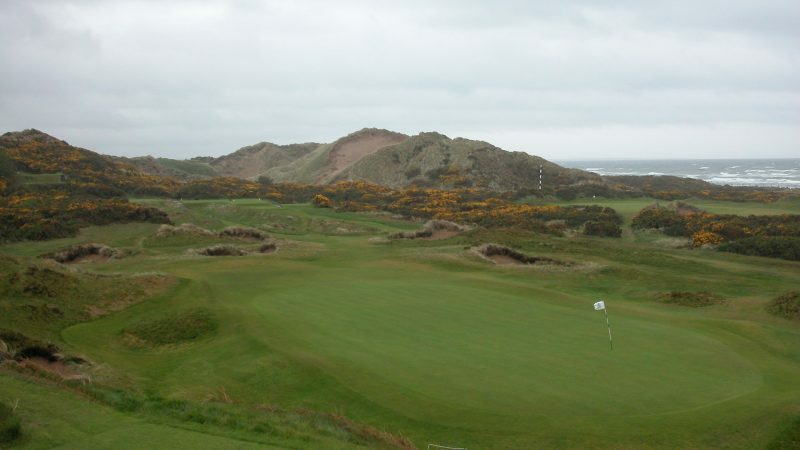 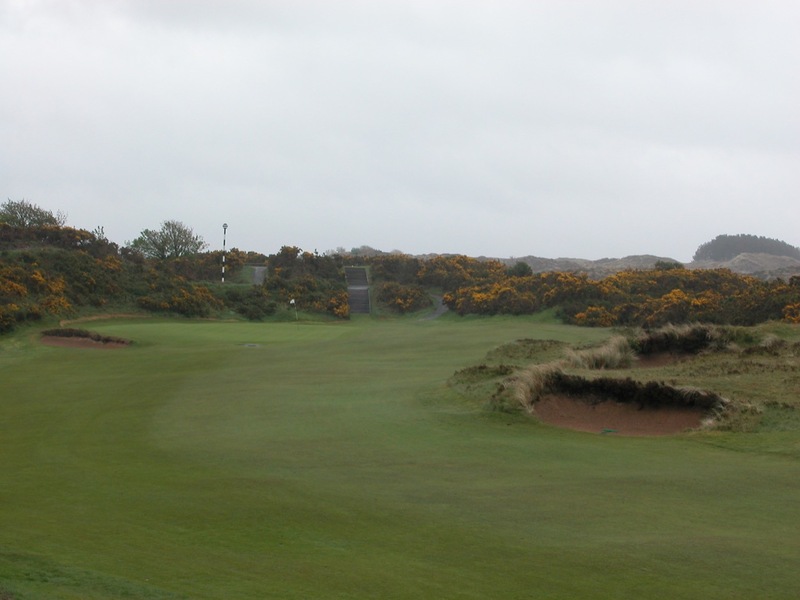 Royal County Down is the centerpiece of any Northern Ireland golf tour.